I can’t believe I haven’t posted this before. 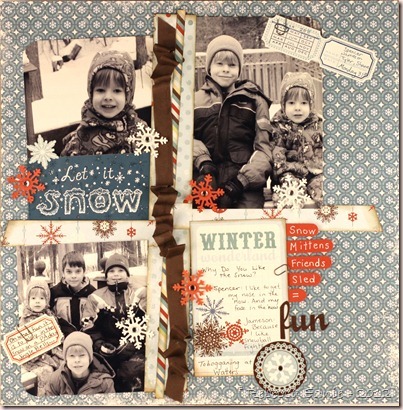 It is one of my favourite scrapbook pages of all time! The journaling card records my kids answers to ‘why do you like the snow?’. Click on the photo for an enlargement. Paper: night of navy CS, red CS-SU!, DP? ?